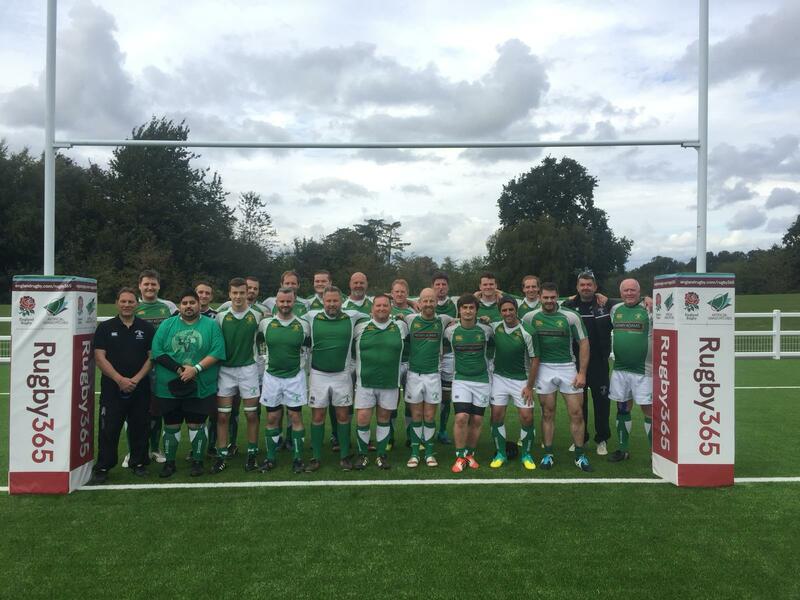 Another Saturday, another game of rugby for Horsham Barbarians. Some things were the same; the regulars, the last minute changes, but some things were very different; new and returning players, new opposition, Horsham were playing Brighton & Hove Sea Serpents for the first time and most importantly, the pitch. The BaBas would get the privilege of playing the first league game on the new AGP. Unusually for the BaBas, the meet and warm up were achieved in good time giving the opportunity to run through line outs and backs moves at leisure and the team were well prepared come kick off. This showed as Horsham started strongly and got the best of the initial exchanges. Sea Serpents were well organised and enthusiastic, but the intensity of the Horsham play was having the desired effect which resulted in an early try. With Craig jumping in the line out Horsham were securing all of their ball and stealing from the opposition, the experienced front row of Kev, Red and Fubar were dominating the scrums and everything looked good with Horsham getting a second try when Lee crashed over under the posts. Always a team player, Lee unselfishly passed (some may say dropped?) the ball for Fubar to score. Sea Serpents had other ideas, and a good passage of play saw Horsham concede a penalty in a kickable position. The kick was missed but this gave Horsham a wake-up call. The BaBas went back to basics, with the forwards taking on their opposition around the breakdown to good effect, but an unlucky bounce saw Sea Serpents gather the ball and run in a deserved try. After the restart, Horsham continued with more of the same and with the forward pressure putting the defence on the back foot and giving the backs space to play in, Horsham scored 2 more to make the half time score 24-7. As the second half progressed, the pattern was much the same. Rolling subs meant Horsham were keeping fresh and the forwards were winning plenty of good ball and the return of Mike Drew brought even more firepower to the pack. Andy Thornton, Sage and Lee were running hard lines and regularly breaking the gain line. The backs marshalled by the returning Doug Wright and James Layzell were exploiting the space created. Again an early score indicated Horsham dominance but Sea Serpents dug in and kept the BaBas out for the next 20 minutes. During this passage of play Ed Cresswell made a great break up the wing, but thought it would fun to start celebrating (?) early, only to be shown the touch line in the most emphatic manner. The final 15 minutes saw sea Serpents starting to tire, and Horsham ran in 3 more scores, including a first try for Andy T. Sage also scored but he doesn’t care about things like that so let the record show that Red has another try! Thanks to Brighton & Hove sea Serpents for a good test, and showing a great attitude that never saw them give up, even when under the cosh. Good luck for the rest of your season. A good first outing of the year for the BaBas, with many positives, not least the numbers available. The next outing sees Horsham Barbarians at home to Worthing Knights on 22nd September. Senior training is on Tuesday and Thursday at 1930. There will be a BaBas training session on 20th September so if you fancy a run out come and introduce yourself or contact Mike Fisher for more info.